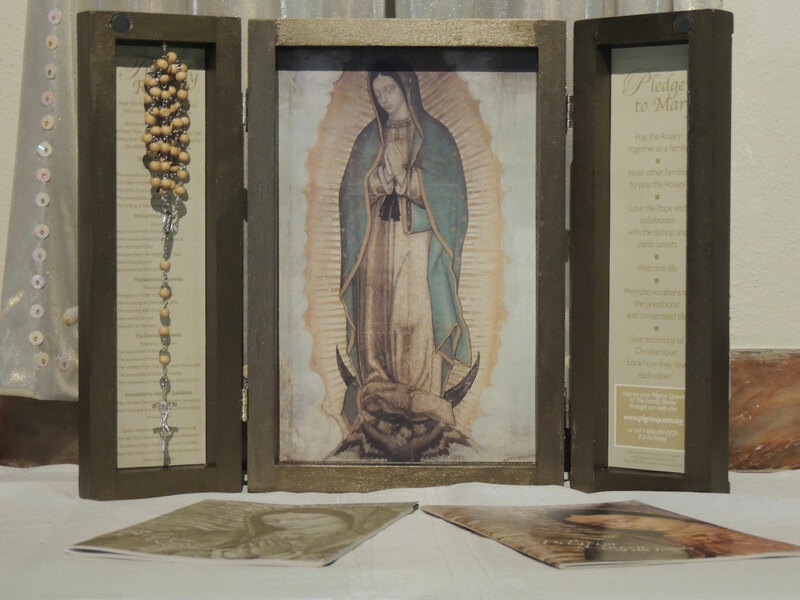 The Pilgrim Queen Home Shrine is a simple wooden triptych with the iconic image of Our Lady of Guadalupe as its centrepiece; flanked by a rosary and the four sets of Mysteries on one side, and a pledge to dutifully pray the Rosary on the other. 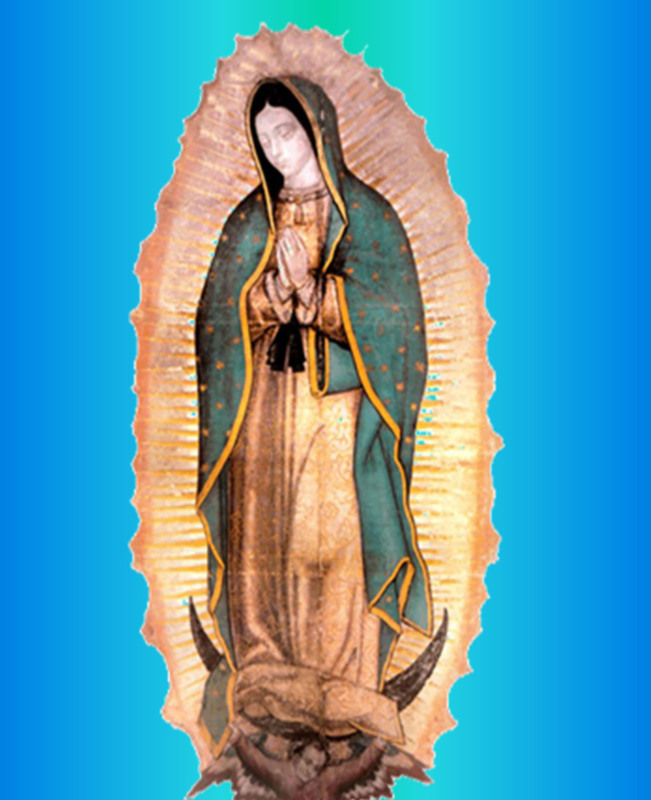 It comes with a Guide of prayers and meditations that help us to focus on Our Lady’s prayers, and assist those who wish to learn how to pray the Rosary. 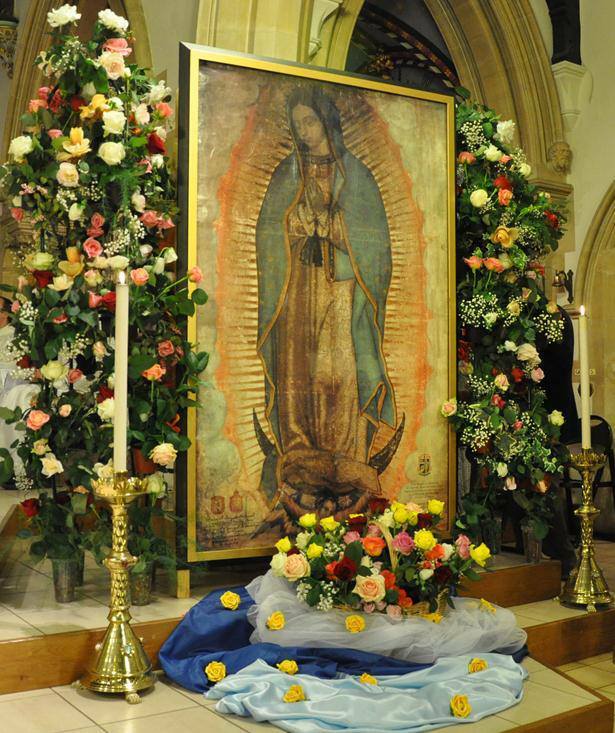 Since its foundation in the Northampton Diocese, as part of the worldwide Mission, we have seen a steady growth of families and individuals joining the parish groups that have been established as a legacy of a visit of the Miraculous Relic Image. 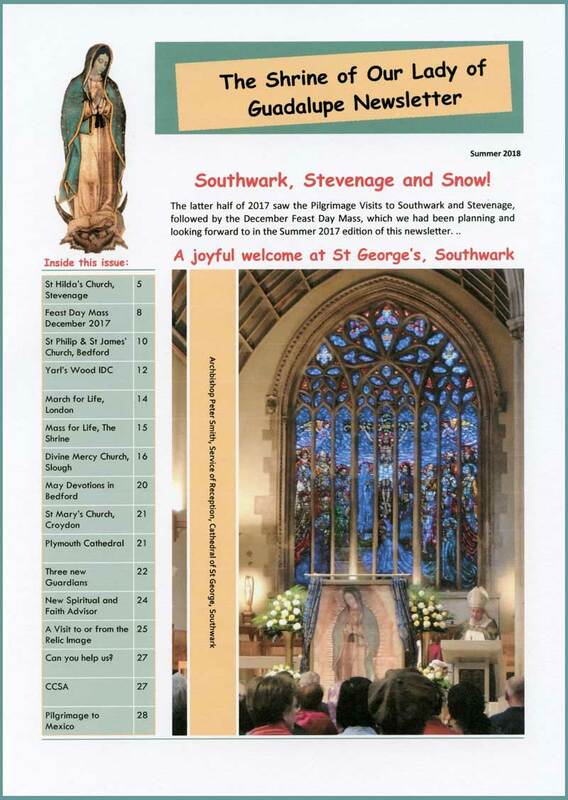 Please contact us if you would like details about forming a Home Shrine group in your parish or area.